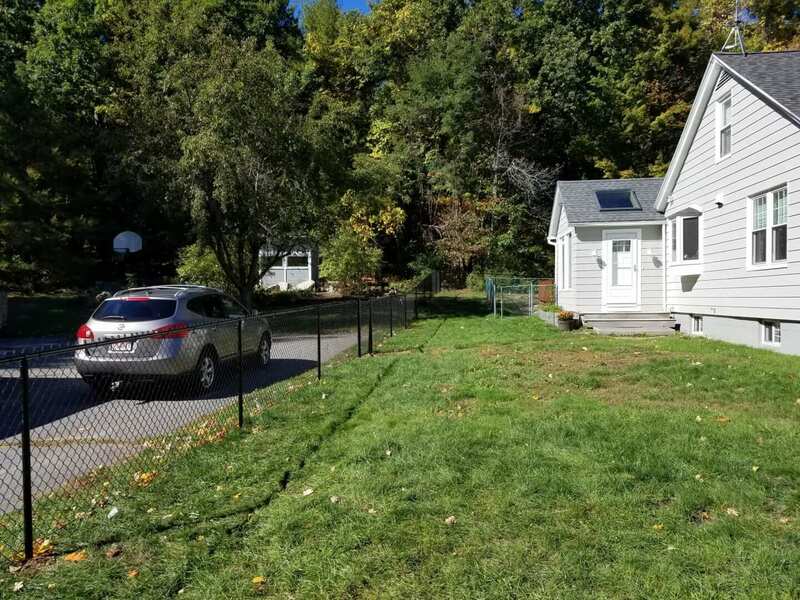 A popular choice for both esthetics and privacy, this fence features tongue and groove boards with matching decorative top and bottom rails all panels are reinforced with metal insert on the inside for added strength and durability. 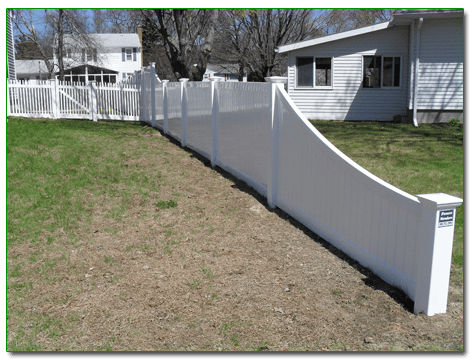 Adding a “sweep” or “transition” panel to a PVC Fence line enables a straight fence to end gracefully or transition into a lower different style making the transition aesthetically pleasing. 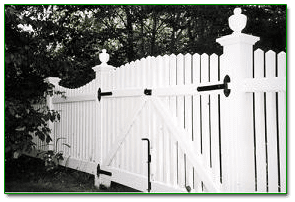 Compliment a Solid Privacy Line of Fence with an Elegant Estate Gate with an Arched Top to give your fence line the shape and design it deserves. Copyright © 2019 | The Fence Menders. | All Rights Reserved. 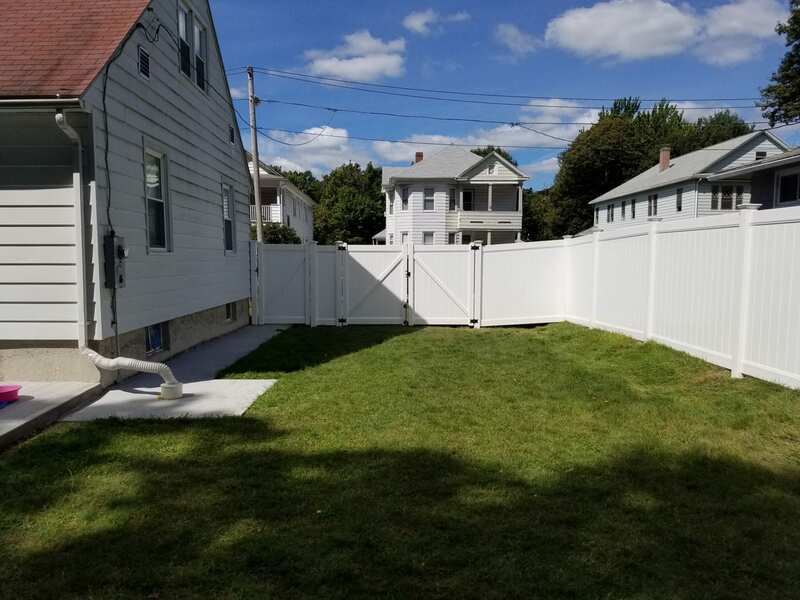 100 linear feet of 4' all black powder coated chain link on all black powder coated frame work including a standard 48" wide walk gate for $1799.00 installed within our service area.